Position Home > 2018 > Only when the last tree has died and the last river been poisoned and the last fish been caught will we realize we cannot eat money. 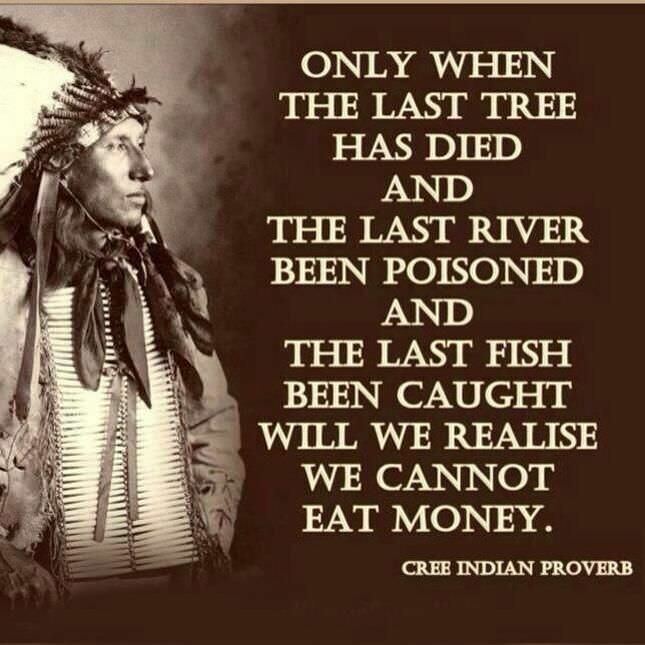 ~ Cree Native American Proverb. .
Only when the last tree has died and the last river been poisoned and the last fish been caught will we realize we cannot eat money. ~ Cree Native American Proverb. .